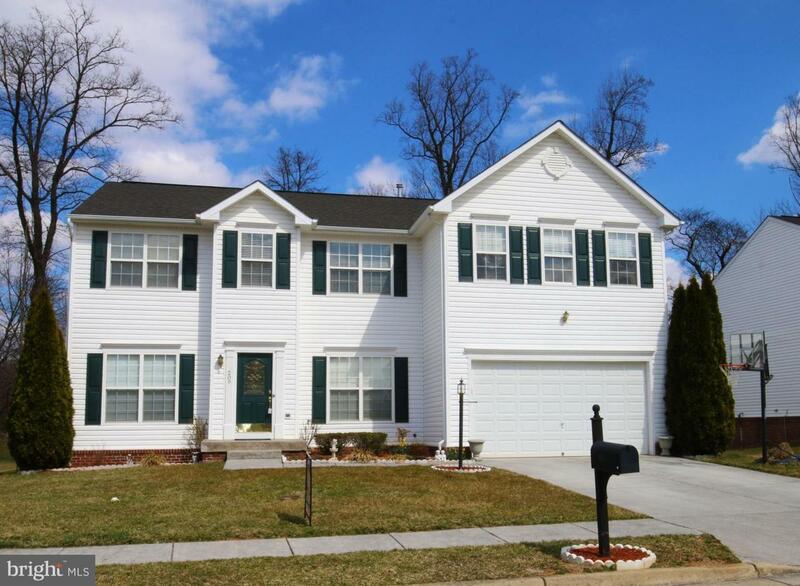 Gorgeous, well maintained 4BD, 2.5BA colonial in The Gallery. Newly painted throughout the entire house! This open floor plan home features formal living and dining rooms, hardwood foyer, large FR with gas fireplace, private office on main floor, spacious eating area in the kitchen with plenty of counterspace and storage. New stove and refrigerator. Laundry on the main level for convenience. The second floor offers a loft area with 3 gracious spare bedrooms, all with walk in closets. Huge master bedroom with en suite, and customized master closet. A full unfinished basement and two car garage on this beautiful home that backs to the woods.